"Financial Life Planning is not about money. The human life comes first." Life Planning connects the dots between our financial realities and the lives we long to live. The Kinder Institute’s tools and trainings make it possible for financial planners and individuals alike to cultivate a Life Plan designed to deliver the most meaningful kind of freedom: The freedom to pursue life’s passions, wherever they may lead. Find out about becoming a Registered Life Planner® (RLP®) to improve your practice today! The Kinder Institute provides trainings for Financial Planners in Life Planning. Through our high-quality trainings, you will learn to build client trust and keep clients happier longer. This workshop trains advisers to help their clients find freedom and financial security by developing clarity and ease around their relationship to money. The Kinder Institute’s proven method is used by thousands of successful advisers worldwide. In this training, you will experience first-hand the power of Life Planning to cause breakthrough results for yourself, your business, and your clients. The EVOKE® method allows you to uncover your clients’ most exciting, meaningful, and fulfilling aspirations and coach them in the work of creating their own vibrant futures, based on a solid financial architecture. This 6-month mentorship is the third and final step to becoming a Registered Life Planner®. The Mentorship is a continuation of the deep learning of the 5-Day EVOKE® training through case studies, peer support, group teleconferences, and one-on-one guidance from an experienced mentor. “Real-life, back-home” client situations and practice challenges are explored during the six-month interactive program. Bring a deeper insight, knowledge, and skills to your financial Life Planning clients. Click here for more information on becoming an RLP®. George Kinder’s latest book is available on Amazon please click here to purchase. 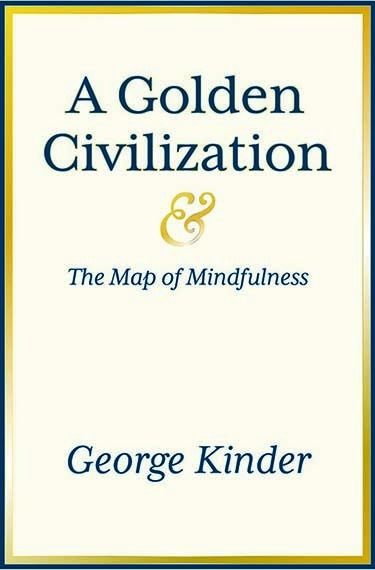 To find out more about the movement this new book is spurring on please go to www.agoldencivilization.com to find out about A Golden Civilization Conversations. You know how to bring money into your life. Bring Life to Your Money. client relationships built on trust.